El Trío, banda de Rock Fusión Dominicana con tendencias progresivas anuncia el lanzamiento de su primer compilación. La colección se llama Balance, es un álbum digital que contiene 16 temas extraídos de los 3 discos en estudio del grupo, de su DVD en vivo y también contiene tracks inéditos súper raros sacados de los primeros conciertos de la banda en los años 2003 y 2004. Aquí hay resumida más de una década de trabajo musical, búsqueda, mezclas y aventuras por el mundo alternativo dominicano. Es un playlist bien ecléctico lleno de fusiones que cruzan varios géneros: progresivo, alternativo, fusión dominicana, merengue, jazz y más. Hace poco El Trío tuvo toda su discografía relanzada por Progshine Records, una compañía especializada en música progresiva del mundo que está dando forma a su roster ofreciendo ésta música y más desde su tienda de Bandcamp. La colección está disponible exclusivamente en la página de Progshine Records y se puede descargar a “name your price” o sea que cuesta desde 0.00 $ en adelante. También allí se pueden encontrar los otros 4 álbumes de El Trío a precio especial. Balance is a compilation that includes songs from the bands three studio albums and the live DVD. These songs represent the very essence of the group’s eclectic inventiveness and cross- genre creative escapades. The compilation also includes three bonus rare tracks from El Trío´s first live demos; the sound in these is quite rugged but the heart is all there. Get it at name your price!! Live DVD !!! Get it! 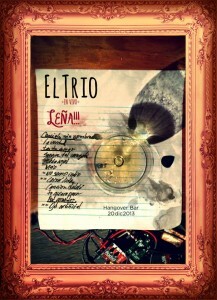 El Trio released its firs live-in-concert DVD, called Leña!!! (Wood )in 2014. It was recorded on December 20th 2013 in a show at a small local bar. The DVD is available for sale and the digital album can be downloaded for free. This project and others, including a free compilation of 16 songs taken from all their albums, are part of the band`s 10`th anniversary celebration releases. The compilation, called Balance, will be available soon. License our music via Music Dealers !!! Kilvin Peña, bass. Johandy Ureña, drums. Jonatan Piña Duluc. vocals, guitar and composition. Influences: Living Colour, Luis Alberto Spinetta, Screaming Headless Torsos, Luis Días. El Trio`s music is a genre-bending meld of influences that combines classic rock, Jazz, Prog, Latin troubadour and Afro-Dominican Folk. Their style has been called “hard to label”,”crossover-prog”,”Rock/jazz fusion”. El Trio has remained alive in the Dominican “underground” scene since 2003, playing, recording and promoting a music that is very different from the country’s traditional radio and tv music, different from the glam-rock scene in the country`s capital which mostly influenced by American and British pop-rock and different from the traditional latin jazz that is played in festivals and high-class venues. The group is the only rock band from the city of Santiago that has remained active releasing albums and playing shows over the years, something which they have achieved with no more reward than the music itself. El Trio also belongs to the minority of bands from the Dominican Republic that chooses to develop a style of rock that acknowledges their cultural heritage as a Caribbean people. The band has earned good reviews from various progressive music magazines and web pages like Progressor, Prog-Archives, Prog-ears, Proggnosis, Sea of tranquility, DME, DPRP among others. Their music has been featured in progressive radio shows all over the globe, such as La villa Strangiato (Canada) and El Retorno del Gigante (Argentina), Progressive Tracks (USA,), Prog Extended (Germany), Cerca de la Orilla (Mexico), Art.Rockowy Świat (Poland), Disco Lai (Dominican Republic) and many others. El Trío`s song Canterbule pt. III was selected to represent the Dominican Republic`s independent music movement in the July 2013 edition of the MUSIC ALLIANCE PACT compilation of music from all over the world. Also the band managed to be included in Prog-Sphere`s Progstravaganza XIII compilation of international prog. as well as Progshine`s collection #1 in December 2013. 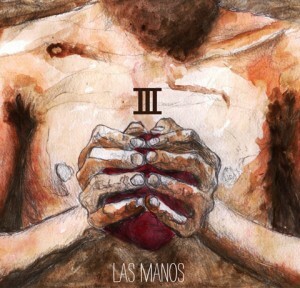 Las Manos (2013), their most recent studio effort, made it to the number 45 position in Rick Dashiel`s (The Rikter Scale/Delicious Agony Progressive Radio) Best 100 prog albums of 2013 and also made it into La Casetera`s (leading page in independent Dominican music) best 10 albums of 2013. El Trio`s live DVD Leña!!! was included in The Rikter Scale`s top 100 albums of 2014 at the 19th spot. This is an internet radio show hosted by Delicious Agony Progressive Radio, one of the most popular progressive music networks. 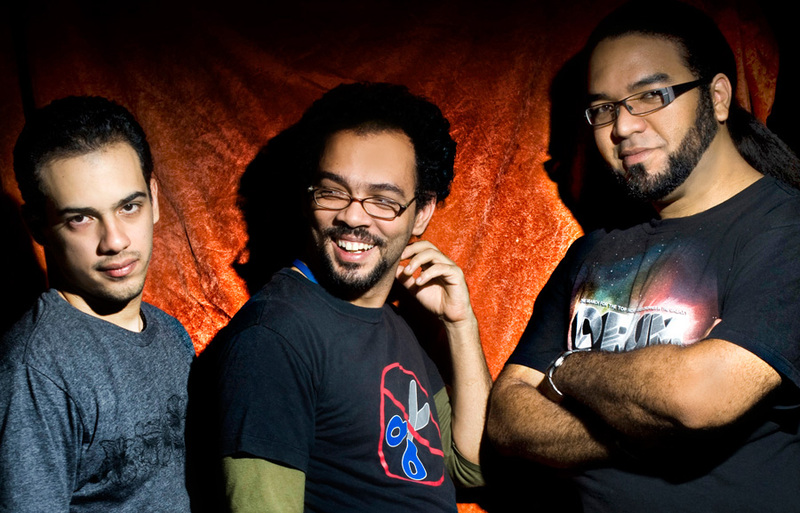 On the 17th of last December, along with two other artists, El Trio was chosen by Brazil`s Yo no hablo.com to represent the Dominican Republic`s independent scene for a live-interview-special featured on their website. This page is dedicated to connecting fans and independent artists in the Americas.